Selecting the right file sharing cloud solution is critical to the success of any business. With various options available, picking a cloud solution is complex and requires proper due diligence. Knowing the facts about private cloud can help in evaluating whether private cloud is right for an organization. 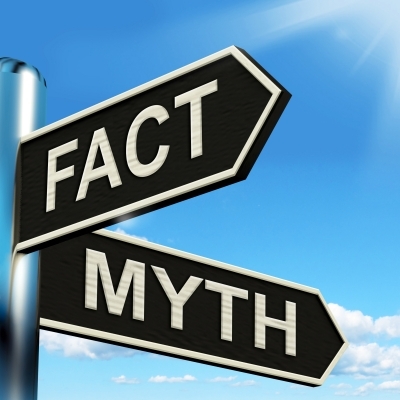 This post attempts to clear up some of the misconceptions about private cloud file sharing. While large public cloud companies spend millions of dollars in marketing to ensure that public clouds are constantly being discussed in the media, private cloud is gaining traction among enterprises of various sizes. Some of the studies show that private cloud implementation exceeds public cloud. The number would be even higher if we include hybrid cloud that combines both public and private cloud. In a Gartner Data Center Conference poll (2012, referred in a Forbes article), nearly 90% of survey respondents said they were planning, or already using a private cloud within their organization. The total cost of ownership can be split into the infrastructure cost and price paid for the solution. Most private cloud solution such as FileCloud are less resource intensive and can be deployed on existing servers, thus avoiding any new capital investment. Private solutions are flexible and can run either on local on-premise servers or on any Infrastructure as Service (IaaS) platform such as Amazon Web Services EC2. As their requirements grow, customers can scale as easily as they can with any public cloud solution. The pricing of a private cloud solution varies and some solutions like FileCloud costs only a fraction of what a public cloud solution would cost. For a 100-user installation running for four years, FileCloud would save over $40K when compared to a similar public cloud solution like ‘Dropbox For Business’. FileCloud consistently beats competition in features, performance and price. The following post discusses the cost savings of FileCloud over Dropbox. The general assumption is that public cloud is more secure than private cloud and this is simply not true. In the case of public cloud, the data centers and networks hold huge numbers of records, which attract a variety of hackers looking for the big payout by hacking into a large database. Since private cloud mostly runs on on-premise, it gets limited exposure to non-users of the system, thus attracting fewer hackers. More importantly, in case of public cloud, employees or contractors of a 3rd-party company handle company’s critical data. Customers of public cloud neither have any visibility nor right to know the access levels of all the people involved in handling the data or the background their background. Just one ‘bad apple’ can cause huge havoc exposing critical data. This is one of the biggest threats that make private cloud better than public cloud. Additionally, private cloud solutions like FileCloud have the same enterprise grade security features as a public cloud, providing powerful tools to protect against security threats. Organizations can apply the same security policy and process on private cloud as they apply on other internal systems. When it comes to a cloud solution, one-size doesn’t fit all; there are different deployment models: public, private, and hybrid and different implementation options: on-premise vs. IaaS. Companies need to balance the complexity vs. the customization and features needed. Complexity can be split into complexity about installing and complexity in navigating through the application. Complexity of installing and maintaining private cloud can be made as simple as any other cloud by installing it on an IaaS platform. When it comes to learning and navigating, the complexity is dependent on the solution picked. Adding new users and maintaining access levels for users is a very involved process and doesn’t get simpler with public cloud. A solution such as FileCloud is known for its simplicity and customization options that simplify the processes. Some organizations make a strategic mistake by assuming FileSharing and collaboration are not core part of their business hence they outsource FileSharing solution to public cloud. The usage data such as who is connected and what data is being shared is core part of intellectual property. Handing over this valuable information to public cloud poses three different threats: firstly, the data creates a barrier to switch vendors; secondly, public cloud can charge additional fees to provide this information in future; finally, a public cloud vendor can use that data to compete against their own customers. As companies realize the importance of these threats, they prefer private cloud, which gives complete control and access to data. Another common perception is that private cloud is a stepping-stone to public cloud; in other words, once companies are used to the concept of a cloud, they would rather move to public cloud, making private cloud irrelevant. Based on 100s of FileCloud implementations, not even once did any of these customers want private cloud as just a stepping-stone. There are very fundamental requirements such as regulatory policies, business processes, user requirements etc. that are driving the adoption of private cloud and these underlying reasons aren’t going to change in the foreseeable future.